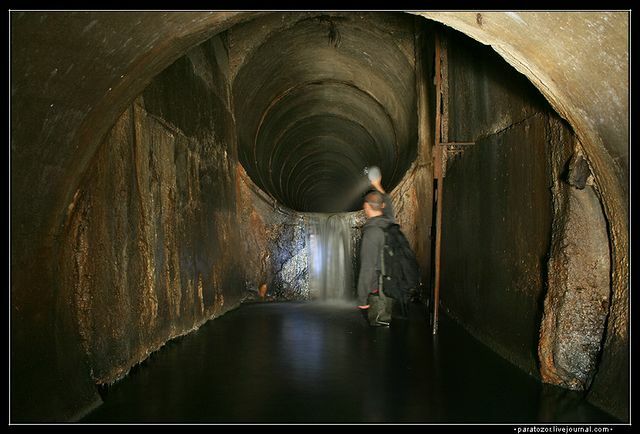 A few Russian bloggers have visited the Moscow sewer system. They made a lot of shots. 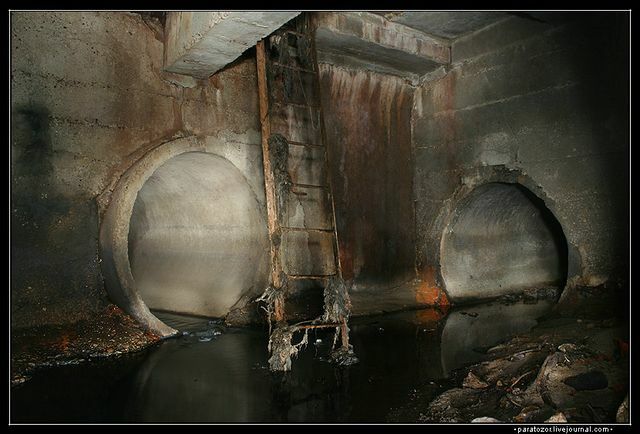 These are just example what can be seen in Russian capital sewerage. 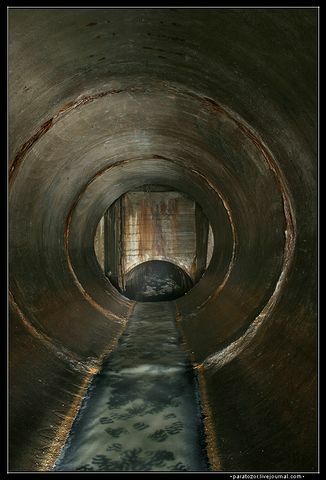 They say it’s extremely dangerous to visit this place because sometimes the level of the water reaches ceilings of this tunnel. 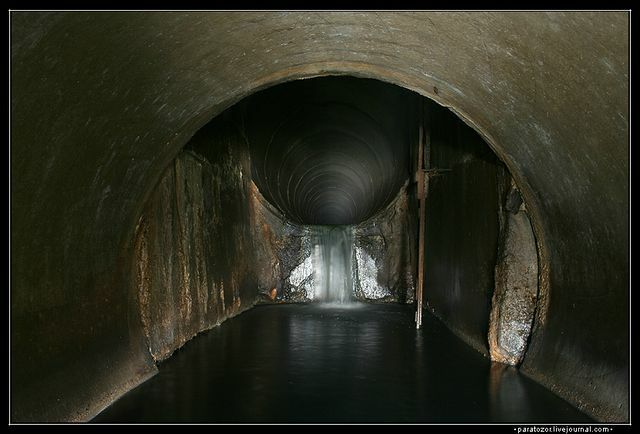 They also had an idea to visit this place one with a rafting boat to made extreme shots of underground water racing, but then decided that there are more easy ways to loose one’s life. 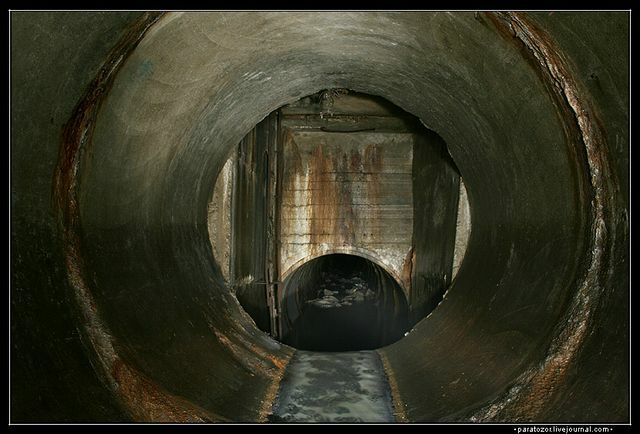 Is not necessary to go underground to see Moscow sewer, most of city is such. Notice hundreds of Mercedes full of turds travelling Kutuzovski Prospect and Ryblevskoe Shosse every day.